You know how great your own mouth feels after an annual dental cleaning? It is no different for your cat. Now imagine if you didn't brush your teeth for the next year. 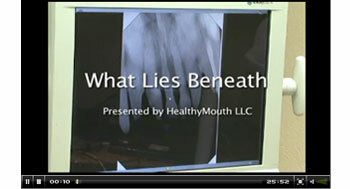 How healthy could your mouth be? It is no different for your cat. Oral health is the foundation for your cat's overall health and quality of life just as it is for you. Periodontal disease, gingivitis and painful mealtimes are realities for your cat as they are for you. It starts with plaque bacteria accumulation on the teeth. It affects and infects below the gum line; destroying tissue and causing bone loss -- necessitating extraction of teeth and often more. It is a serious disease which touches 75% of our cats by age 1.5 years. But there are two major differences between you and your cat's dental health and care; your cat suffers in silence and depends on YOU to take care of its health. Recommended by leading board certified veterinary dentists around the world, cat::ESSENTIAL healthymouthTM is the first and only dental water additive to receive the prestigious VOHC(R) Seal of Acceptance for plaque control in cats. Its patented formula contains 100% human grade ingredients, is free of all synthetic, artificial ingredients, alcohol and contains NO calories, fat, sugar or sodium. I wouldn't let my own pet ingest anything that I wouldn't ingest myself which is why healthymouthTM is so healthy! I'm pretty sure you feel the same way. Better yet, it's clinically proven to reduce plaque by a remarkable > 85% and 88% in cats in two independent clinical trials. The safe, effective, highly palatable concentrate formula with mercury-free salmon oil (backed by a 100% refund policy) is added to your cat's daily drinking water -- as easy as giving routine hydration -- making dental home care a win-win for your cat and you! Less packaging more product- Double The Amount of Product for The Same Price with our Eco-Friendly Jugs!